The Ramones capitalized on The Stance. 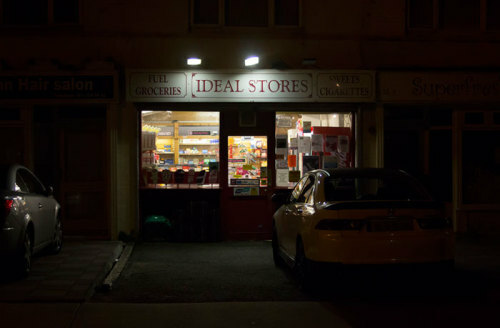 This is the Ideal Store. Rollin’ Wild is a cool site with animation shorts filled with spherical animals, like this one. This is pretty trippy [via]. Omphalophobes can be repulsed just by seeing or thinking about a belly button. Other rare phobias listed here. Apparently anthropomorphic global warming existed before anthropomorphs did. Dinosaur skulls have been found as far north as what is now Alaska (which in the Cretaceous Period was mostly within the Arctic Circle). Pachyrhinosaurus is now my favorite Sauropod. What did they do in the Arctic darkeness? Corey Hart sends mixed messages and I have no idea who he is. Dog likes to watch “Planet Earth” on TV [via]. Happy Fathers’ Day to all Fathers who ever Fathered. To you Proto-Fathers and Fathers-In-Training, your prime responsibility is to Father forever more. This entry was posted on Sunday, 18 June 2017 at 12:05 AM and is filed under Cool, hot links, Music, Odd, Retro. You can follow any responses to this entry through the RSS 2.0 feed. You can leave a response, or trackback from your own site.